San Diego was beautiful! I am writing this after I've left San Diego and have spent a few days in Los Angeles, so this is my perspective after seeing both cities. San Diego has a very relaxed vibe, which was a perfect way to really start my tour. We arrived in San Diego on Monday night from Las Vegas, and tried out a really cool website you may or may not have heard of called, Airbnb. Through this website you can find places to stay in people's homes who may have an extra room they're willing to rent. 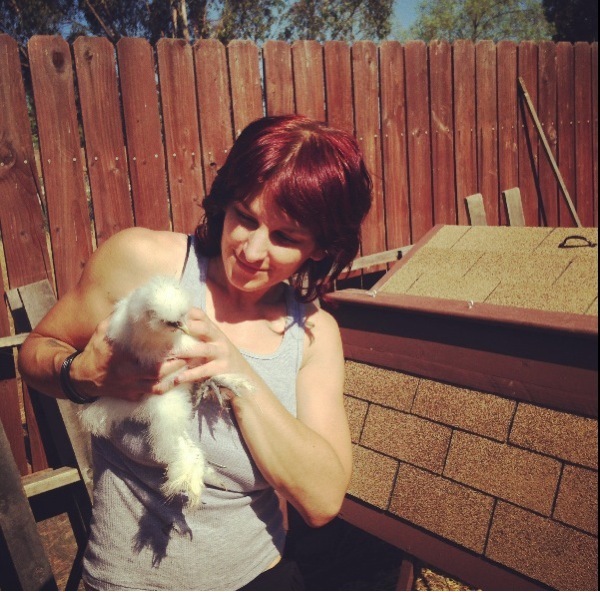 When we were researching potential homes to stay in, we found an awesome couple, Daria and Alicia, who bragged about their jacuzzi, garden, and pet chickens. As it turns out, Daria is aprofessional pet photographer and groomer, and the both of them are very involved in the art and music scene in San Diego (they put on a on a monthly event called "Elektrofied" at the Ruby Room so if you're local you should check it out!). We decided it was a perfect match! When we got there, the jacuzzi was fired up and our stay in San Diego started right. They had a wonderful menagerie of pets that were super cuddly and adorable (a dog named Oliver, a dog named Petey, a cat named Rex, and a cat named Moxy), and not to forget their two pet chickens and their vegetable garden (maybe I should start doing vegetable garden portraits?). Aside from an awesome place to stay, Alicia and Daria became our fast friends, and gave us wonderful recommendations for things to do within the city. 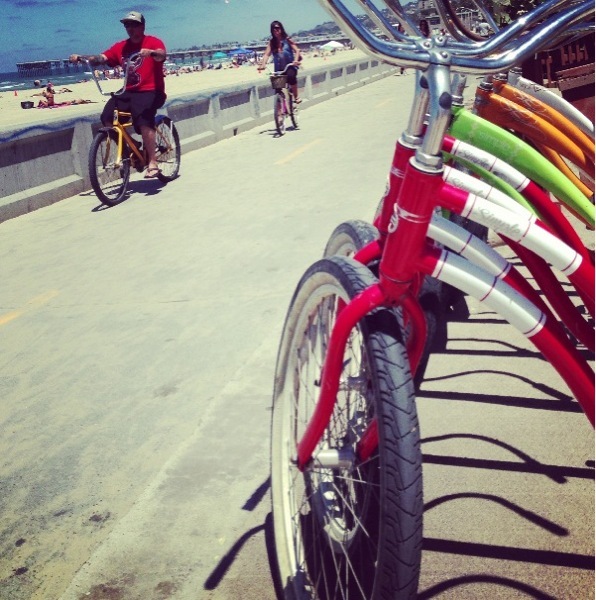 On Tuesday morning, after running a few little errands, we drove the car over to Coronado. We got a quick glimpse of the hotel and the beach, and headed down for lunch on Orange Ave. I stumbled upon a cool pet boutique/dog wash called, "Wag n' Tails." I feel optimistic that this store may hold some Pawblo merchandise in the near future so if you're local stay tuned! The owner, Melanie, gave me some wonderful tips for places around San Diego to set up and paint. She also told me she'd be on the lookout for other places to carry my merchandise on her upcoming trip to Sedona, Arizona. It's always great making new connections with people along the way. I found out too late that there is a wondeful dog beach on Coronado, so I will have to come back I suppose! After Coronado, we thought we would drive over to Balboa Park. We heard some awesome things about it so we figure we'd scope it out! Once we found a parking spot we noticed a cool little are filled with artisans, so of course we had to check it out. It was a little community of artists who pay rent to the city to have a gallery space/studio space, and from what we heard from one artist, it is quite inexpensive. How cool of San Diego to provide a space for artists to share their work in such a huge public forum for hardly any cost. As an artist I can definitely appreciate a discount! We continued to walk around Balboa Park. There are lots of museums there, and on Tuesdays, I guess they are free! We visted a conservatory, and there were outdoor koi fish ponds that were really beautiful. I also noticed a sign for the Balboa Art Conservation Center, so of course I had to check it out. After walking around for a bit, we decided we should probably head back to the house to prepare for a live painting event I had advertised on Ocean Beach Dog Beach. The beach was awesome. You could tell all of the dogs were so excited to be there. Many of them had the biggest grins on their faces and sprinting as fast as they could. I wish there were more places like this in Boston. 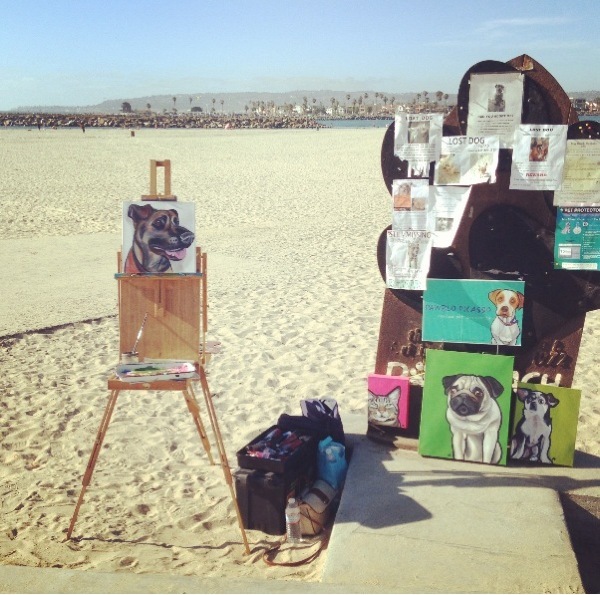 I set up my easel in front of the beach and spoke to many people. Daria and Alicia came and brought their dogs. Daria brought her camera and took some pictures of me painting and some of the dogs on the beach. Once she sends them to me I will post them on here so you can check out her photography skills. 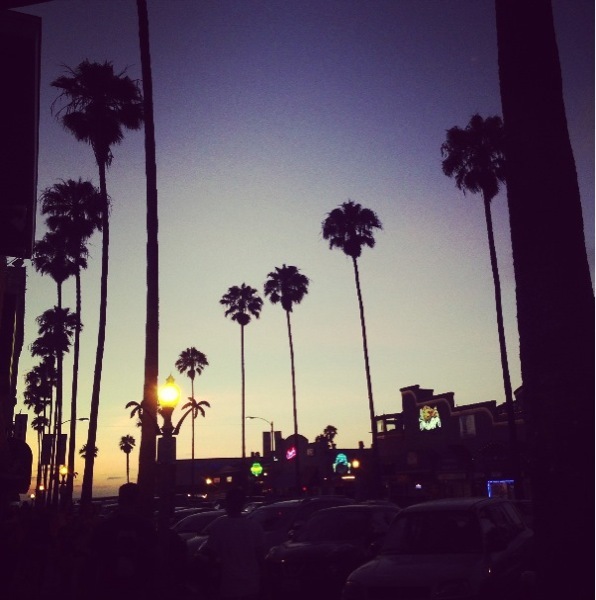 We ate dinner on Ocean Beach and visited some friends that night. We packed up our stuff the next morning because we were leaving for LA after my event in La Jolla. Before we went to La Jolla, we posted up at a little restaurant in Pacific Beach to get some brunch, people watch, and go through our emails and such. It's much harder than I thought to find the time to blog! Hopefully I will get better at this as the trip progresses. We went up to La Jolla and walked along the ocean before the event. I learned what a ground squirrel was and pretended to feed them and they would come right up to me... They would have come into my lap if I let them! We heard about an area on the beach that was originally created as a kiddy pool, but the seals use the area to nest and have completely taken it over. We went over there and saw a few seals...some of them babies! La Jolla has a pretty incredible beach with tons of tide pools and natural rock formations and I'm glad we had some time to walk around there. I did my first official event at Muttropolis in La Jolla. It was a really nice store and I talked to a decent amount of people. It's been good to make connections with places like this and I'm eager to continue to visit more stores along the way! When we told people we were heading to LA, most people in San Diego didn't have a very high opinion of the city, but I guess it depends on what you want from a city. Daria and her teenage chicken! The coastline in La Jolla was beautiful! Inside of the Muttropolis store in La Jolla! I'm using their cat tower to display my pantings... how perfect!